Is It All About Flashy Smiles And Trendy Styles In OKC? If you can’t be in Paris, then bring fashion home to Oklahoma City. Facial fashion, that is. The pouty, the cheesy, the sultry, the glamorous, the gleeful. Oklahoma City is a great location to enjoy the possibilities and benefits OKC Smiles has to offer. A group dedicated to keeping you looking great and feeling confident. We offer a wide variety of dental services for our Mustang, Norman, and Edmond locals – general dentistry, Invisalign, and sedation dentistry. You name it, we’ll explain it – porcelain veneers, restorative dentistry. It’s time for your consultation: 405-634-7303. For just about everyone out there, the way we look is vital to our self-concept. Our self-concept rules our interactions and relationships. A smile for a friend says more than a perfect smile hands down. 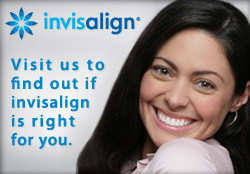 Let us work with you to energize that smile to your standards. Our own Dr. Mark Phan can discuss with you chipped teeth, crooked teeth, and even missing teeth. Come down and see us, Moore. We will help you to work that smile on the proverbial runway of life. OKC Smiles’s single most distinctive feature is our handicap accessibility. We even provide mobile dentistry to several local nursing homes. Our dental restorations and smile makeovers will set you apart. Be uniquely you.